For many Americans, the outdated look and feel of their kitchen is a drag on the overall enjoyment of the home. The kitchen area is a main hub for activity, whether homeowners are cooking, eating, doing homework, entertaining guests, or otherwise. Forming a dynamic renovation plan for your kitchen can prove very helpful in creating a new space that is as visually stunning as it is cost-effective. Homeowners who are on a tight budget for their kitchen remodel have the potential to save money thanks to a variety of money-saving measures. One handy service that can upgrade the kitchen’s look is cabinet refinishing. Detail Design & Remodeling is here to provide quality cabinet refacing to Atlanta homes, delivering eco-friendly solutions that are as durable as they are professional. From small installs to custom cabinets, our home remodeling contractors are here and ready to help you in any way that we can. Today, we’ll continue our look into cost-effective tips that can help minimize the financial burden of your kitchen renovation. When you are finished, be sure to contact our kitchen cabinet refacing experts to see how our quality services can optimize the outcome of your project! Investing in attractive lighting fixtures for your kitchen can make all the difference in the end result. When done properly, a kitchen lighting plan can be as beneficial as it is affordable. Small improvements in lighting and the fixtures can help to tie your theme together. Under-cabinet lighting options are typically very affordable, and when used correctly, can make a significant difference in the level of quality your kitchen provides. Hanging lights and pendants are ideal for creating eye-catching task lighting elements, adding a helpful layer of lighting to your kitchen. Do you have a unique piece of art or a cool style element in your kitchen? Accent lighting comes in all shapes and prices, making it easy for you to create a dramatic effect for the interesting points in your kitchen. Kitchens that are too dark can be dangerous, so be sure to put extra effort into planning this aspect of your remodel! Based on the theme of your kitchen, you may have one aspect that absolutely cannot be compromised in quality or price. When this happens, be sure to invest in the more costly elements selectively. In smaller applications, even the most costly materials can be used affordably to create a major difference in the end result of your kitchen. Backsplashes, for example, can be pretty pricey when you consider the entire wall abutting against your countertops. Selectively installing the backsplash in high-impact areas can create stunning improvements will avoiding emptying the bank account. Homeowners who cannot do without a high-price countertop can look to minimize the materials needed or even introduce another material to create a dynamic design flow. One cost-effective way to dramatically improve the look and feel of your kitchen is to create more open spaces. Oftentimes, the limiting nature of smaller kitchens can make inhabitants feel confined. Our custom cabinet experts excel in creating space-efficient solutions for Georgia homes, but the labor and material costs of this service can place a drain on your limited budget. Another approach for creating more openness in your kitchen is to utilize one or more of a variety of devices and storage elements. Reducing the clutter in your kitchen can go a long way in improving the look and feel of the entire area. Upgrading your pantry, installing hooks for instruments and devices, or installing new shelves can all prove helpful in creating more space. If you have a small amount of unutilized space around your refrigerator, our home remodelers can craft rolling cabinet elements such as a stand-up pantry to find more places to place your goods. From the island to the kitchen table, certain elements of the kitchen may not be worth the hassle. Those with limited kitchen space can create fold-up table options in addition to the space-saving furniture already available for purchase. If your kitchen has corners that are not being put to use, corner shelving can help to create much more storage space without the high price tag. One artistic approach to creating valuable upgrades to the aesthetics of your kitchen is the implementation of personal touches throughout the room. Painting outdated cabinets, placing eye-catching art decor on the walls, and other fun projects can help to set your kitchen apart while keeping the budget under control. This “art it yourself” approach can be very valuable when done correctly, as the unique feel and creative outcome can make all the difference with the final aesthetics. The number of DIY websites available today make creating your own design upgrades simple and easy. Etsy.com, for example, hosts a wide inventory of kitchen decor that is sure to take your renovations to the next level. A little creativity and elbow grease can end up making a big difference in any kitchen without the high cost. Saving the best for last (in our opinion), surface and cabinet refinishing services can help to create vibrant outcomes for outdated fixtures without the cost of a full replacement. 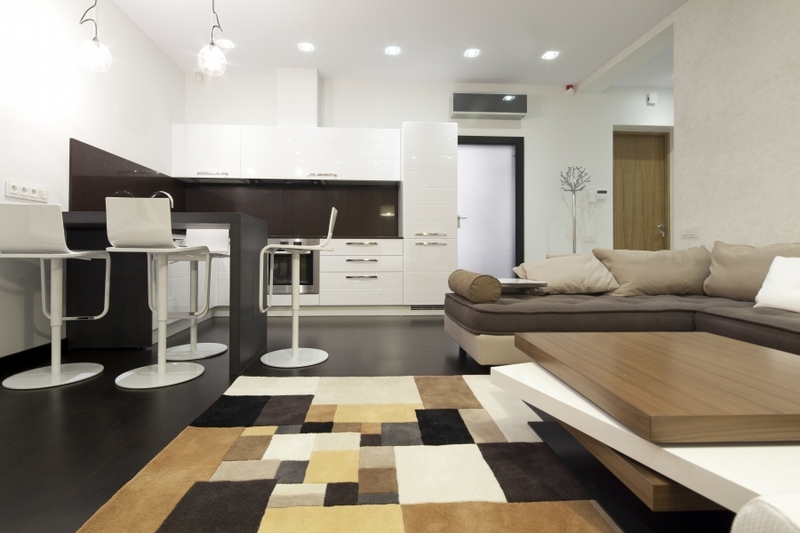 From refinishing wood floors to cabinet refacing services, homeowners have a wide range of options at their disposal. Our cabinet resurfacing, for example, works to revitalize your outdated cabinets with cost-effective upgrades that breathe new life into the kitchen. Instead of tearing out your old cabinets, our home remodeling contractors work to upgrade the most important part of the cabinet’s aesthetics — the doors and hardware. You can choose to paint your cabinets or resurface them with a real wood veneer, delivering a quality appearance that does not break the bank. Our custom cabinet experts work hard to create functional, beautiful, cost-effective cabinets for each and every one of our customers. Cabinet work is often one of the most important aspects of kitchen remodels, making it a focal point for many homeowners. 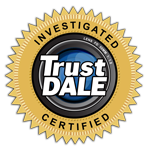 Detail Design & Remodeling is proud to specialize in cabinet refacing for Atlanta, Dunwoody, and the surrounding areas. 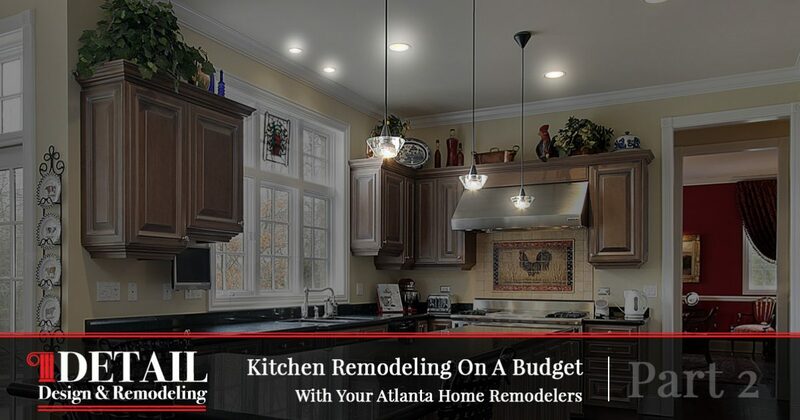 If you are looking for affordable ways to maximize the value and quality of your Georgia home, be sure to contact our remodelers to learn more!